Healing from divorce and letting go of the emotional baggage from your marriage is vital to rebuilding a happy life after divorce. When you find yourself feeling stressed and drained by all the drama, here are some tips to help you re-energize and get a new outlook on life. 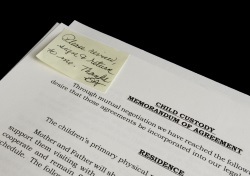 Without proper divorce support, life as a single parent gets more demanding, challenging, and complex. With more challenges, less time, and juggling new responsibilities that were previously shared, you're spread really thin! How does a person maintain their sanity during the most stressful time of their lives? Self-sustaining divorce support can be achieved with daily self-care. I like to give the analogy of "filling up your own cup". Imagine that your life is a bucket, and for every positive investment you make into your life, that bucket fills up. When the bucket is brimming full, you feel good, energetic, calm, and can navigate life's obstacles with relative ease. When the bucket is not full you feel drained, stressed, anxious, and even some spilled milk could make you snap. The optimal situation is to invest so wisely into your own bucket that you are overflowing and able to contribute more deeply in the other areas of your life. 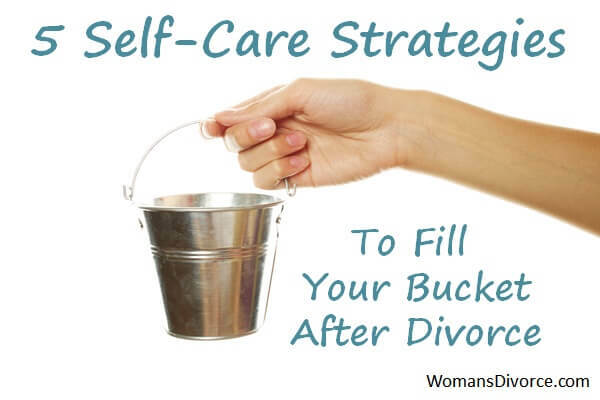 Identify one or two buckets of self-care that you could augment right now to make the most significant impact while you're healing from divorce. Work on enhancing all of them and watch the return that you get in all areas of life! Enhancing your health can happen in so many forms. From the food you eat, to the amount of time you move and stretch your body, and your quality of sleep, your level of health has a direct impact on your attitude, emotions, energy and more. To improve your health you could commit to just 15 minutes of exercise, remove an addictive food for a week, add 3 fruits a day to your diet, start your day with stretching, or journal right before bed. The possibilities are endless! What will you do to lift your health factor? Your environment is your physical space(s) that you spend the most time in. Do they drain you, or energize and inspire you? Are they consistently messy or neatly organized? Often times, to improve our environment, we just need better systems to take care of the daily paper, mail, dishes and clutter of life. Music is also a part of your environment that has been shown to lift moods. Create a station on Pandora that you love, or assemble a favorites list in iTunes. I hold the philosophy that everything is either taking away or adding to your life. Have you ever noticed that spending significant time with certain people affects your mood and energy? If you notice a negative effect, you may be hanging out with an energy vampire, and you may consider spending less quantity time around that person. 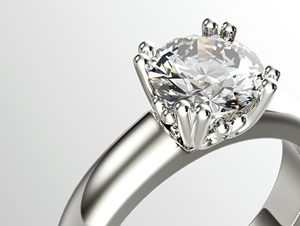 Conversely, who are the people in your life that you really love, respect and admire? Think of them all, whether you know them already or not, and create a plan to get introduced to the people you would like to connect with. What is your mindset? It's your attitude! Your attitude is the sum of your thoughts, feelings and actions. What thoughts do you have about yourself and others? Chances are if you are judgmental towards others, you are hard on yourself too. What is your level of confidence that you can achieve your goals? Do you approach challenges as a battle to be fought or an opportunity to uncover? If you find that your mindset could be improved, then take a look at what you are putting IN to your mind. What types of TV shows and books do you watch or read? Do you invest in your interests, education and growth? How could you start or stretch it? This one may have surprised you, but think about it. 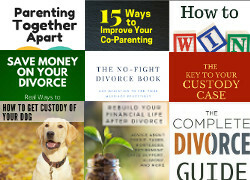 Do you feel you have the greatest divorce support when you are just getting your basic needs met? We all deserve to enjoy indulgences that add to the spark of life. It could be as simple as taking a scented bath with candles and music because you rarely slow down. Remember that introducing some sweet pleasures in your life will add to your overall well-being, and denying yourself chips away at your own self-worth…so indulge!